Not that you’d ever think of dropping your iPhones in water, but for us here in Southeast Asia, summer is a year round affair — and with that kind of weather, it’s no surprise that weekends at the beach, pool parties, and water parks are pretty regular events. 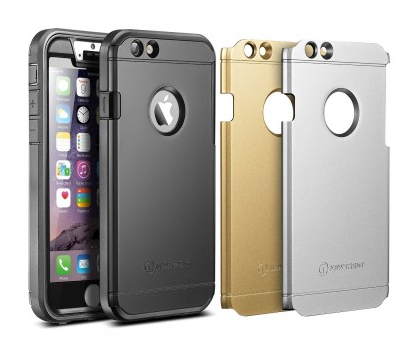 And in these situations, your leather/silicon Apple cases just won’t cut it. Imagine trying to take a picture of you and your friends by the water, when all that good natured chiding that happens with every group selfie prompts you to lose your grip on your phone. You now not only don’t have a picture — you also just lost yourself a perfectly good phone. There are cases, and then there are CASES. You know what I’m talking about…the water-resistant, scratch-proof, drop-protected cases that basically ensure your iPhone will last you until the end of time — or at least until the next one comes out. 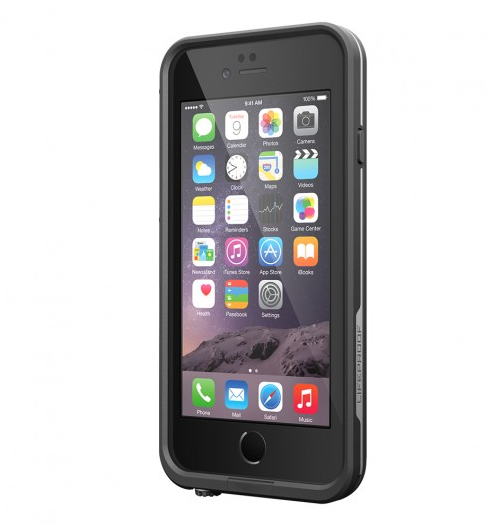 And Lifeproof is exactly what we’re talking about. They’re scratch resistant, have a touchscreen cover and a sturdy, waterproof casing that can be submerged under 2 meters of water for up to an hour. The added bulk — while slightly off-putting to some — is a small price to pay, given you can now post all those underwater photos on Instagram. Just don’t expect to be sliding your phone in and out of your pocket easily or displaying the stylish form factor that the iPhone 6 is known for. Griffin, a long-known name in the protective casing market, offers military-grade drop protection and is designed to withstand rain. So a few splashes of sea or chlorinated water will hardly do anything to it. No guarantees on what happens when it’s submerged, so don’t go trying to take underwater photos with this one. For seaside viewing or listening and even poolside pictures, you can rest easy knowing that even after knocking your phone accidentally into water, it’s going to come out unscathed. Maybe you’re looking for a case with a bit of added protection, but hate the idea of ending up with a phone that now resembles a brick. You don’t really intend to risk dropping it in the pool or the ocean, but would feel better if you could do something to make sure that if it does, your phone will still work. Try the Trentium. It has a rubber bumper seal to keep moisture from seeping into open ports, and you get more stylish color options with a sleeker, slimmer form factor with the promise of water resistance. 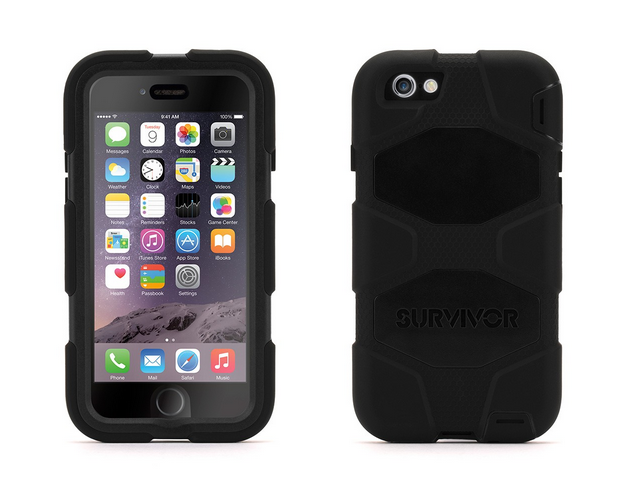 Maybe you’re OK with the Apple silicon case (or leather case). 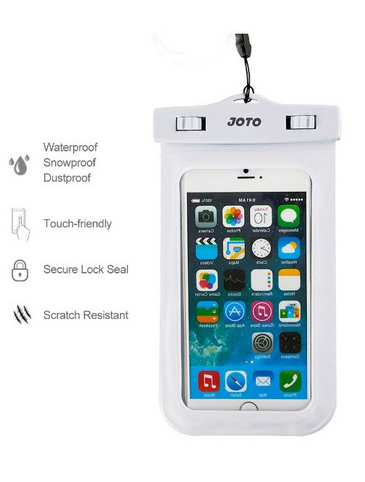 For summer jaunts where you just want to make sure your phone is protected, but don’t want to drop a lot of money for it, though, here’s your solution: JOTO’s waterproof bag. While they promise that the screen is still touch friendly behind the plastic, I found that it’s not as touch sensitive as you’d think. 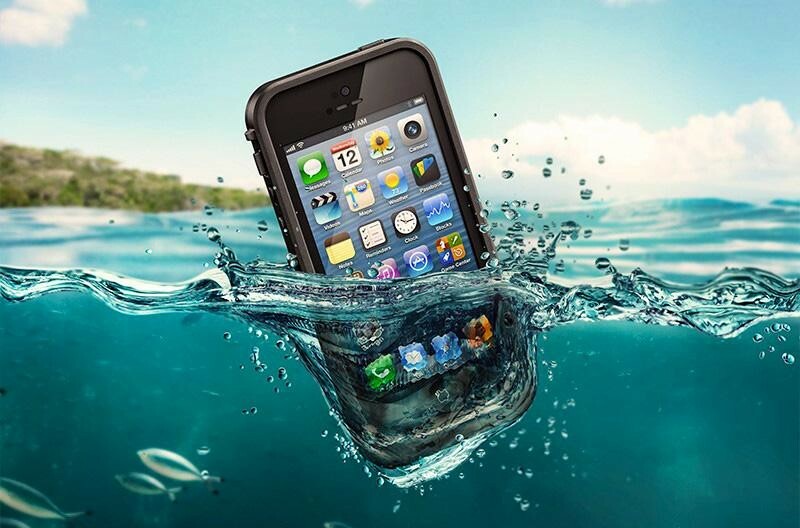 But waterproof protection for $10? Well worth it.